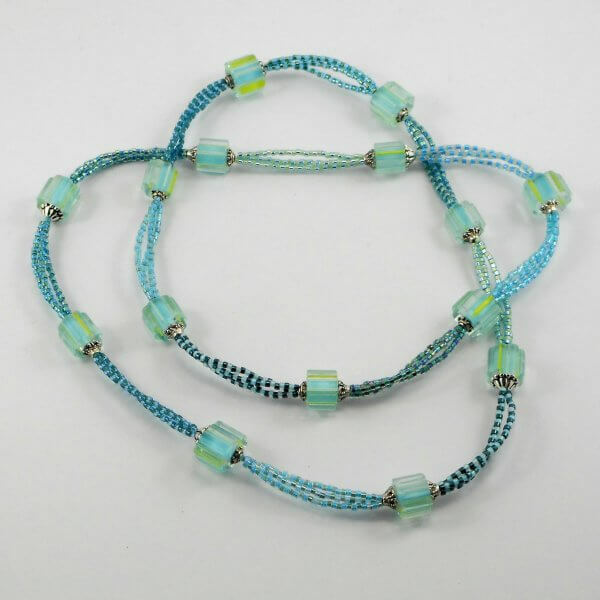 This beautiful claspless necklace in watery blues and greens is reminiscent of the amazing beaches that surround Esperance, Western Australia where you can visit the gorgeous snow white beaches of Lucky Bay and Cape Le Grand. A triple strand of alternating seed-beads separate each of the stunning 15 clear cane glass tube beads. These approx 9x7mm fluted tubes have thin inclusion stripes of sky blue and yellow. Viewing these beads on different angles reveals the colours magnified through the curved shape of the flutes. 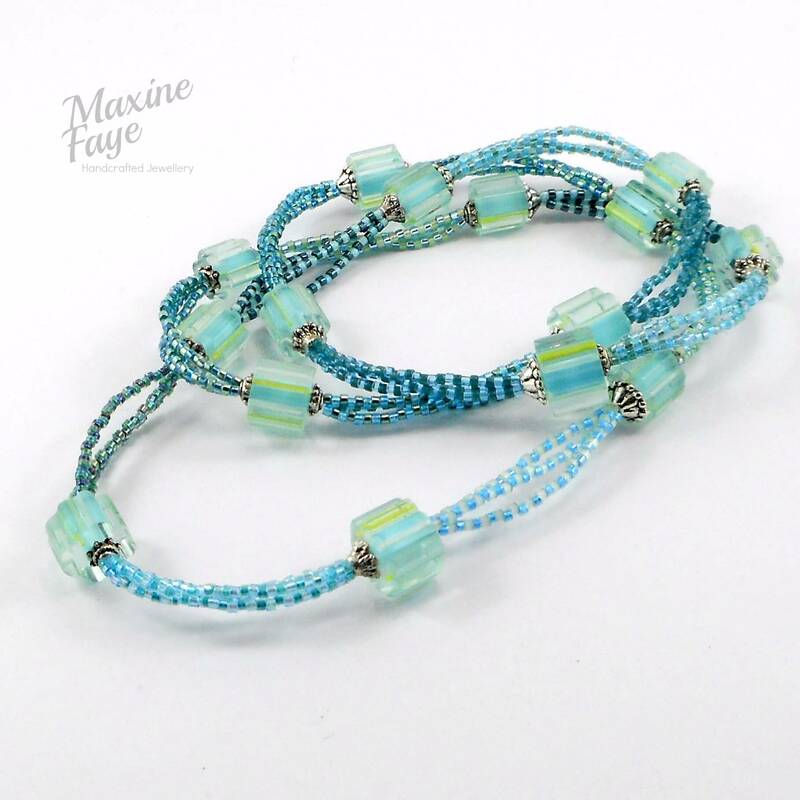 The seed-beads in tones of blue, green and aqua, include transparent, opaque, galvanised, silver lined, matt, AB and peacock finishes and are combined in both a contrast of colour and finish. 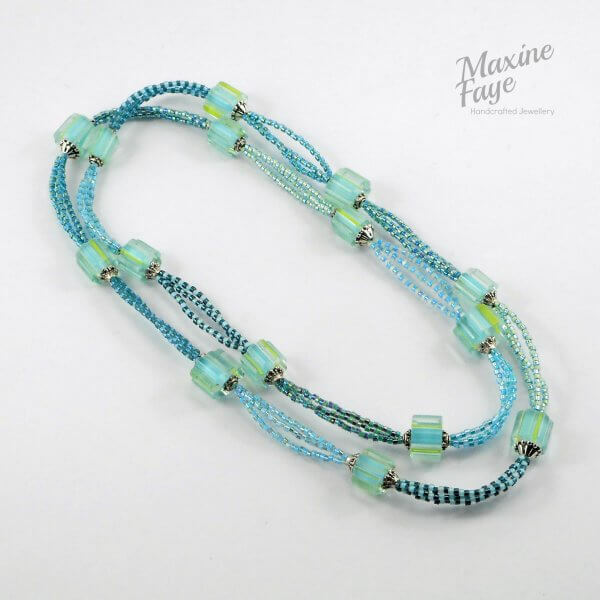 This gorgeous necklace is approx 75 cm long and claspless, it just slips over your head.